Safe, effective, economical heat where you need it ! 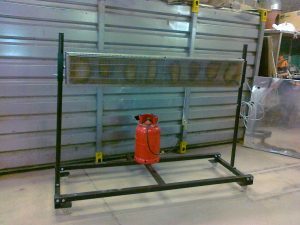 A typical model 12″x72″ running on bottled gas and mounted on a simple A-frame mobile stand. Running off bottled L.P.G. they can be used to provide spot heating for paint drying or other processes inside ATEX zone 1 hazardous areas such as paint spraybooths without fear of igniting flammable vapours or gases. This can greatly improve conditions for painting and dramatically reduce paint drying times. Our standard model 12″x 72″ provides 10.5 kW of safe, effective long-wave infrared heat. It uses 0.75 kg of propane gas per hour, which means that the biggest bottle (47 kg cylinder) will last over 60 hours. 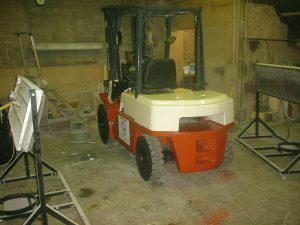 Mobile Bruest heaters positioned either side of a fork-lift truck to accelerate the drying of the paint. 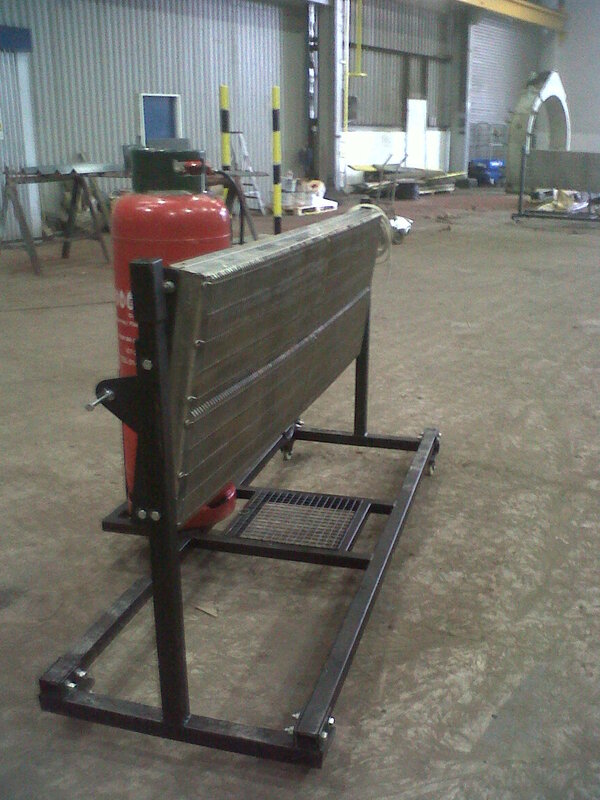 Bruest model 24"x72" on a mobile stand supporting a 47 kg propane bottle. 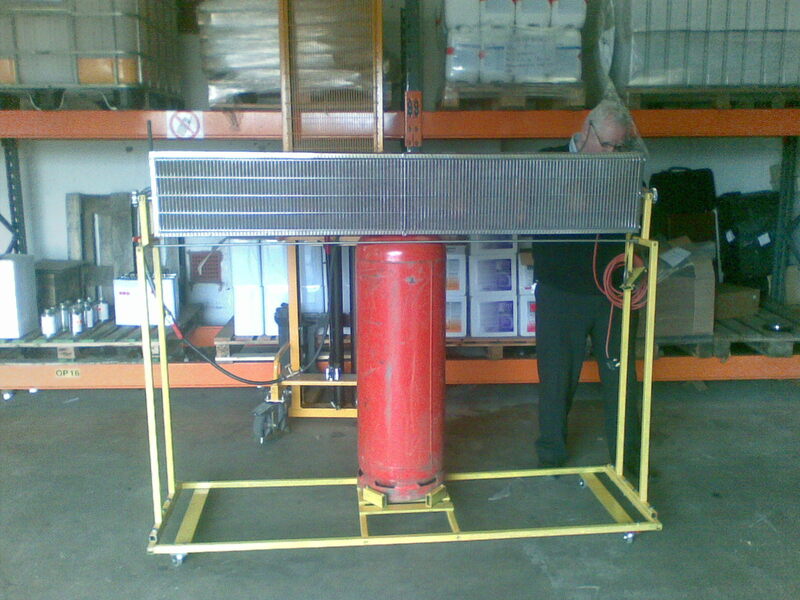 Bruest model 12"x72" on a mobile stand supporting a 47 kg propane bottle : used to heat a paint store.